From family tree templates to ebooks on genetic genealogy, military records and more, Family Tree Magazine is happy to provide you with the resources and knowledge you need to dive into your family history. Download these free genealogy ebooks below to explore a specific subject and get your genealogy research started. Best of all: these genealogy resources don’t require a purchase. If you have old photos you want to restore and preserve, this eBook will get you started. If you have African-American ancestry, this free genealogy download will set you on the path to finding your family history. If you suspect – or have discovered through DNA – that you have Native American ancestry, this collection will provide you with the tools to trace your family history and discover your ancestor’s tribe. Plus, you’ll find plenty of resources and strategies inside that will help you refine your search. In this collection, we’ve gathered five articles that will help you find your US ancestors’ military records in the military records that have been generated by the US military – from the Great War and World War 2, to lesser-known military conflicts such as the French and Indian War, War of 1812, and more. If your ancestors were in the military, drafted or even married to a soldier, these tools will set you on the path to discovering more about your military family history. New to genetic genealogy and not sure if you want to try a DNA test – or want to get strategic about doing so? In this ebook, we’ve put together articles that will help you determine the type of DNA test that will help you achieve your genealogy goals. With this ebook, you’ll get an easy introduction to the basics of genetic genealogy and see how those DNA results will help you break through brick walls. Chart your family history with these resources. In this collection, we’ve provided two decorative family tree templates, a five-generation ancestor chart, a family group sheet designed for recording information about a nuclear family, and a useful relationship chart to help you deduce how a specific family member is related to you. Want to research all the branches of your family tree? Then you have to know all about using your family’s last names. This free e-book contains some of Family Tree Magazine’s best genealogy tips relating to family last names, including articles on basic surname research strategies, tips for seeking ancestral maiden names, what your surname reveals about your ethnic heritage, how to refining Google surname searches, and what you can learn by understanding surname meanings. This free e-book contains some of Family Tree Magazine’s best genealogy search tips relating to Ancestry.com searches, including articles on using the Ancestry.com Card Catalog, navigating immigration records, customizing your homepage and the advantages/disadvantages of public and private family trees. This free e-book contains some of Family Tree Magazine’s best tips relating to genetic genealogy, including articles on debunking genetic genealogy misconceptions, tricks for using DNA results to break through brick walls, and a resource roundup of tools to analyze your Y-DNA, Mitochondrial DNA (mtDNA) and Autosomal DNA (atDNA) test results. This free e-book contains some of Family Tree Magazine’s best genealogy search techniques relating to FamilySearch.org, including articles on searching unindexed records, ordering microfilm, add-ons for your FamilySearch Family Tree, and a guide for improving your FamilySearch searches. Proper family history organization is the foundation of every successful genealogist. With this free e-book, we’ve done our best to provide you with the right guides, tutorials and cheat sheets to help you organize your family history, once and for all. Many genealogists dream of writing or publishing their family’s story. Whether your dream is to write your family history as a novel or just to blog your family journey or genealogy research online, 30 Family History Writing Prompts will help you organize your research and ideas. Discover your family’s Civil War story with this free ebook from America’s #1 family history magazine! Download your copy of Step-by-Step Family Reunion Planning for tricks, hints and hacks to planning the perfect family reunion. 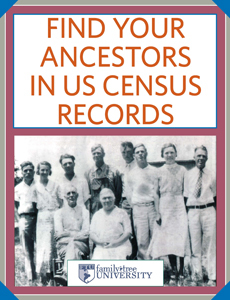 Whether you want an in-depth overview of all the information that each census holds, are curious about special censuses or would like a state-by-state census chart, our free e-book, Find Your Ancestors in US Census Records is here to help. This free eBook contains all of the best secrets from several years of Discover Your Roots, with something to help any genealogist in their family tree research.